The Palm Pre is the hottest new device on the block. It's the cell phone-nay, personal digital everything-that all the cool kids want to get their hands on...but no one wants to use it more than developers! The Palm Pre is more than just a way-cool device, though: it is built on Palm's webOS, an operating system that changes the game for developers. Building on standards-based web technologies, webOS allows us to create applications more quickly and easily than any other platform out there using the same technologies we know and love already. It turns out to be quite fun, too! 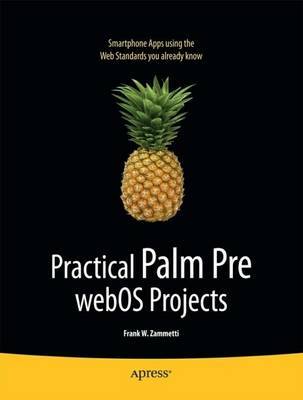 In this book, you'll learn all about the Palm Pre and webOS, their capabilities, and how to develop for them. You'll learn to write applications that function entirely on the Pre itself, and you'll also learn to write applications that "live in the cloud" (i.e., keep you connected to the digital world around you). You'll spend most of your time looking at Mojo, the framework API through which your code interfaces with the operating system. All of this will be presented within the context of six fully functional real-world applications that you can use on your own Pre! Once you're done, you'll be ready to write your own webOS applications for the Pre, get them into the app catalog (the online store where Pre applications are made available to Pre owners), and make tons of cash.